The sky is the limit for some advertisers. In recent years there has been a trend of causing a scene in the clouds in order to grab the attention of media outlets across the world. All of the examples here are PR stunts – some with a higher budget than others – that use the sky in one way or another to capture our imaginations. A more conventional Out of Home poster campaign from British Airways last year featured little kids pointing at the BA brand in the sky, but these stunts take it one step further and fire brands that are usually found firmly on the ground as far up as the stratosphere. 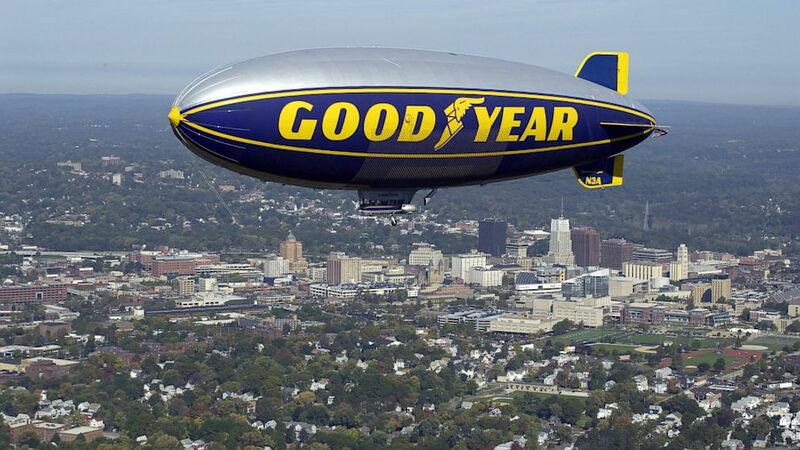 The Goodyear Blimp needs to watch its back. What: In 2012 20th Century Fox released Chronicle, a movie about a group of friends making a discovery that gives them superpowers, including the ability to fly. To promote the movie, 3 human-shaped remote control planes were assembled and flown around New York City, to the amazement of onlookers. Why It’s Great: The whole stunt was professionally filmed and posted to YouTube, amassing nearly 9m views. The planes actually looked pretty naff when viewed close-up, but from a distance the stunt actually seemed almost believable. I think the idea of bringing a plot of a movie to life and recreating something seemingly impossible in the real world is a great storytelling ploy when promoting a movie. It literally brings fiction and turns it into reality, which I believe can spark a strong emotional response in prospective movie-goers. A prankvertising stunt for the remake of Carrie last year also successfully attempted this, albeit firmly on the ground. What: Australian bookmaker Sports Bet decided to fly a 1-tonne hot air balloon shaped as Christ the Redeemer over the skies of Melbourne. It was 46m high with a 41 metre wingspan and encouraged Australian fans to #KeepTheFaith in their national team for its upcoming World Cup campaign. Why It’s Great: The idea is unique and visually striking. It provided a great photo opportunity for the brand and the only costs it incurred were the price of the balloon and the fuel to fly it. The return on investment got even better once the stunt had been picked up by the international press, but went through the roof once certain religious groups took issue with the stunt. This only created more column inches for the brand and turned the stunt from a harmless balloon flight into an edgy, daring and risky feat. Is it actually true that all PR is good PR? What: A group of guys assembled a drone that could “autonomously deliver” a freshly made burrito. The destination of the buritto is determined using GPS and can be selected using a smartphone. A small parachute is deployed when the burrito is released and it falls slowly towards the ground. Why It’s Great: Sadly it’s not obvious that the stunt was “powered” by Yelp, and this is definitely a missed opportunity for the brand. It goes to show how important effective branding is in such an exercise. If the stunt was funded by a food brand that makes burritos it would have gained a lot more traction and the excitement factor of the stunt would have been increased if a strong brand was able to lay its mark on it. It nevertheless was one of the first drone-style stunts that appeared online (before the likes of Amazon Prime Air) and shows how a simple idea that’s well executed can capture the public’s attention. What: In 2012 Red Bull flew Felix Baumgartner 24 miles above the surface of the earth in a helium-powered balloon and told him to jump. It broadcast the whole world record attempt live on the internet and the world was able to watch a man free-fall through the air for 4 minutes and 19 seconds. The stunt was supported with media activity both prior to and after the act, taking on the name of “Mission to the Edge of Space”. Why It’s Great: The sheer ambition and scale of the event was something to behold. Red Bull had always been a brand that pushed the boundaries, but this was a new high (literally) even for its own standards. The stunt rightfully made headlines in international news brands and spread like wildfire across all forms of social media. In my opinion, Red Bull managed to expertly brand the space jump in a way that made the brand the centre of the stunt without detracting from the event itself. Many people were expecting Baumgartner to crack open a Red Bull as he moved towards the edge of his space balloon, but the moment never arrived and neither did it have to. Nearly 2 years on, everybody still knows it was Red Bull who sent that bloke into space and made him find his own way back down.